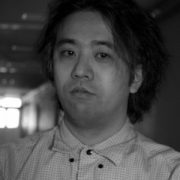 Nobuaki Doi (1981, Tokyo) has worked as a curator, researcher, and critic in the field of animation. 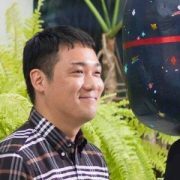 Since 2015, he has been working as Festival Director for New Chitose Airport International Animation Festival, the only animation festival held inside a terminal building of an airport. At the same year, Doi founded a distribution company for international independent animated film New Deer. Recently he published a book based on his PhD thesis at the University of Tokyo: Personal Harmony: Yuri Norstein and the Aesthetic of Contemporary Animation (Film Art Sha, 2016). Another book he wrote is An Introduction to Animation in 21st Century (Film Art Sha, 2017). 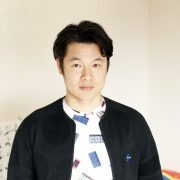 Filmmaker, Born in Kushiro in 1977, based in Sapporo Hokkaido, Japan. active as a scholar in the field of visual media and as an artist whose focus mainly on the theme of dissecting and reconstructing the composition of moving image. His major works are “Thinking Dot”, “A Found Beach -omnibus-”, “Mind Mounter” and so on. Views visual media tools of personal expression and is involved in local activities such as screening and workshops. From 2016 is involved in the planning and program of Independent Theater Second Marubakaikan. Associate professor at Hokkaido Information University in Japan 2008-Present. Tomoko Ono (1976, Sapporo) has been working as Chief Director for New Chitose Airport International Animation Festival (Chitose Hokkaido) since the first edition. 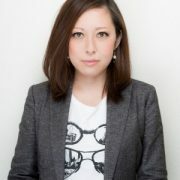 She has also planned many screening events of independent movies, animated films, and workshops in Hokkaido. She is the coordinator of Sapporo International Art Festival 2017.